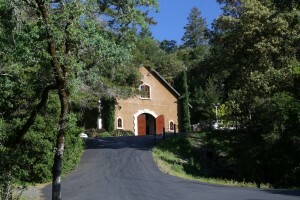 Fantesca Winery is located on a very historical property in the less traveled Spring Mountain district, in the mountains to the west of the town of St. Helena. 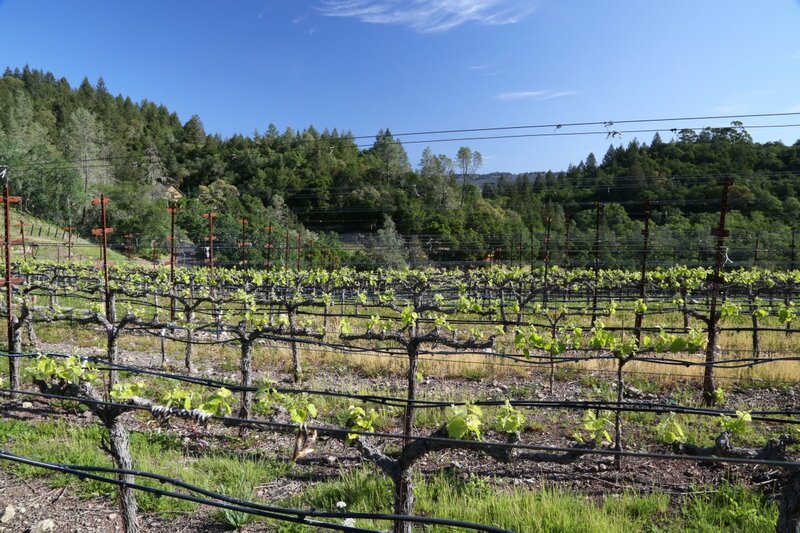 Grapes were originally planted on site in the 1860’s and the property was part of the dowry from Caroline Bale when she married Charles Krug (names that are well known locally – reference the nearby Bale Grist Mill and of course Krug is one of Napa’s most historic wineries). 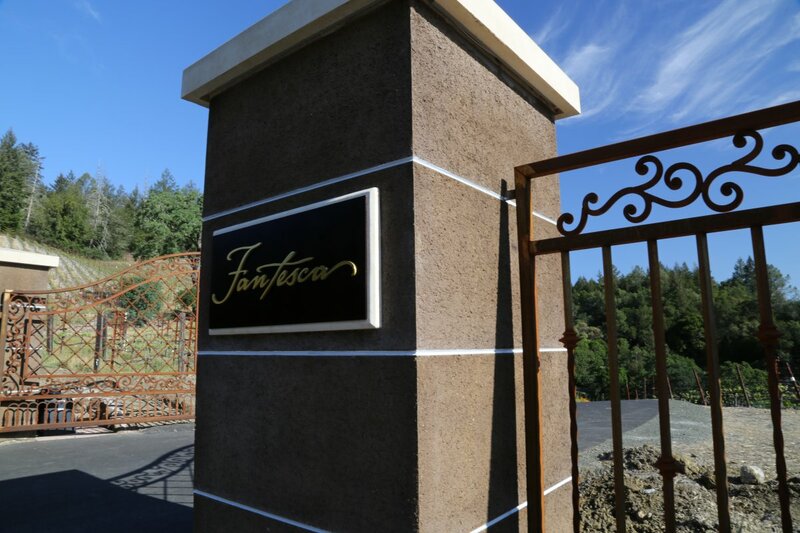 Fantesca is a special winery for a number of reasons, not the least of which is their premium wines….read on. 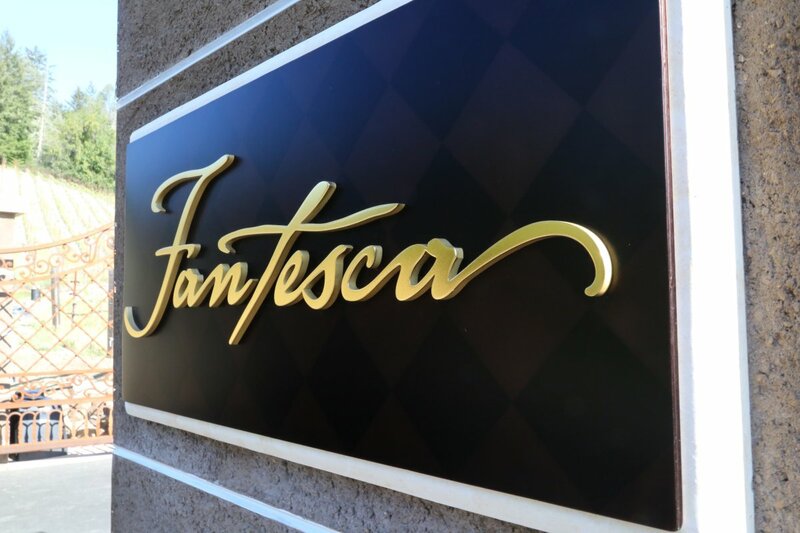 Fantesca’s origins can be traced back to a series of stores in Minnesota called the Sound of Music – specializing in audio equipment. In 1981 one of their stores was hit by a tornado, taking off the roof but not damaging their inventory. Looking to liquidate products quickly owner Richard Schulze offered a “tornado sale” placing “best buy” tags on items in their inventory. This sale was an immediate success. By 1983 Richard had renamed the company to Best Buy and began offering a greater diversity of products. Founders Susan and Duane Hoff were both working very high paced jobs at Best Buy (Susan is Richard’s daughter) and were looking for something that would allow them to slow down a bit and enjoy a more rural lifestyle in contrast to their hectic work and travel schedules. For three years they searched for property in Napa – they were specifically looking for planted vineyards with an established bonded winery. 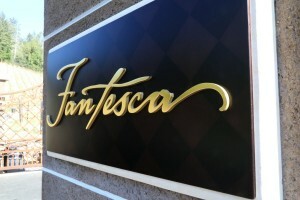 Finally in 2004 they located “the” winery and named it Fantesca after a popular character in traveling comedy shows during the Renaissance period in Italy. 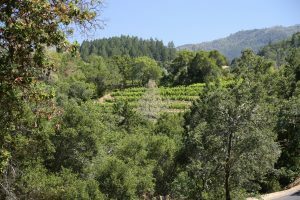 The property is 53 acres located about a mile drive from the town of St. Helena on the lower slopes of the Spring Mountain Appellation. 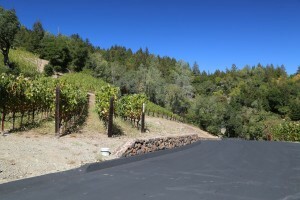 The hillside vineyards are separated into a number of blocks each with its own soil, water, rootstock or varietal characteristics. The vineyard is planted mostly planted to Cabernet Sauvignon and the only white they make (Chardonnay), is sourced from the cooler Russian River area in neighboring Sonoma County. 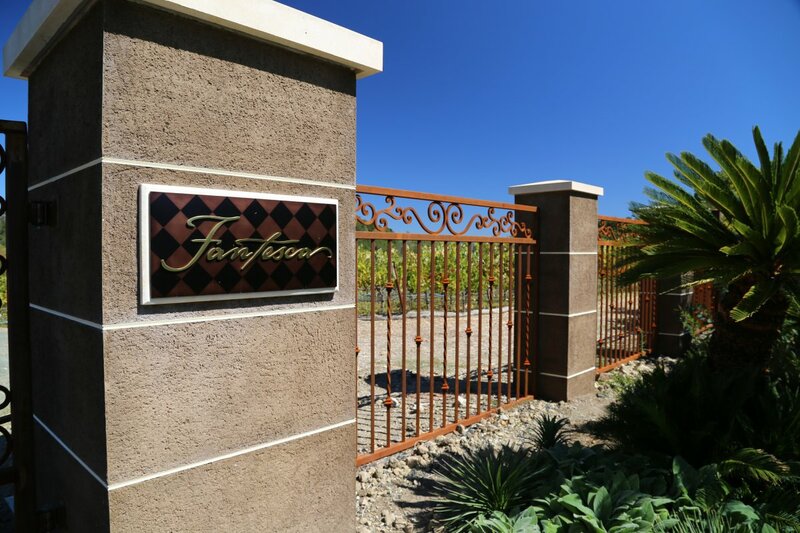 As of our latest update to this review, well-known winemaker Heidi Peterson Barrett is currently Fantesca’s winemaker – she joined the team in 2008. When the Hoff’s purchased the winery there were vintages in barrel from the prior winery (Shadow Lace); the first vintage released under the Fantesca label was 2002, and the first release totally under their control was in 2004. 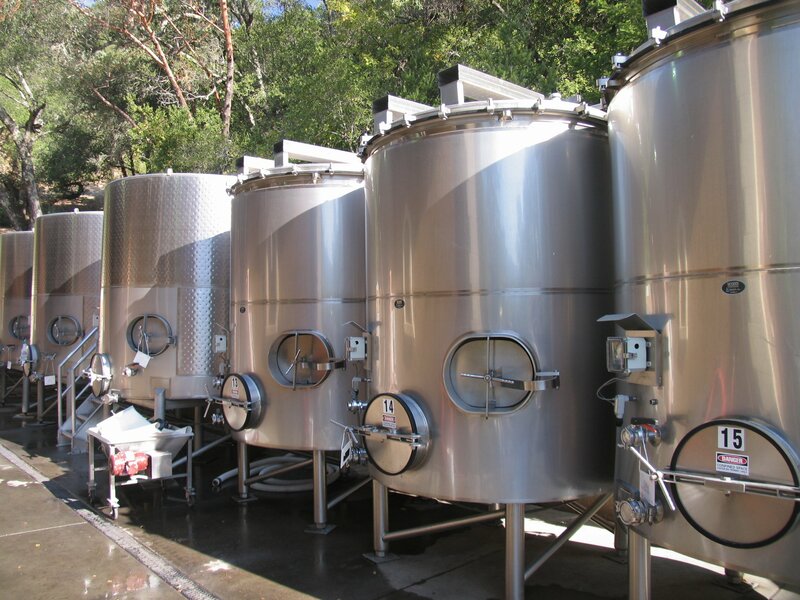 In their relatively short history of making wine they have already employed top winemakers – their original winemakers were the father son duo of Kirk and Nils Venge. 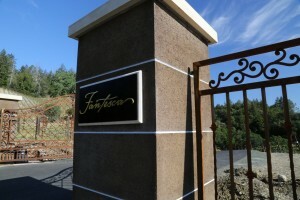 Fantesca’s primary focus is on merely a few wines including a Chardonnay and an estate grown Cabernet Sauvignon. 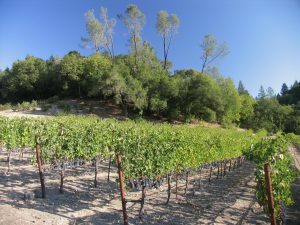 Heidi Barrett is not known for her Chardonnays – in fact prior to the Hoff’s request she only made red wines and this is still the only Chardonnay she makes. When agreeing upon making wine from this varietal she had two stipulations – one she would source the fruit from a grower she already had a working relationship and two – she would make a style of Chardonnay that she enjoys drinking. 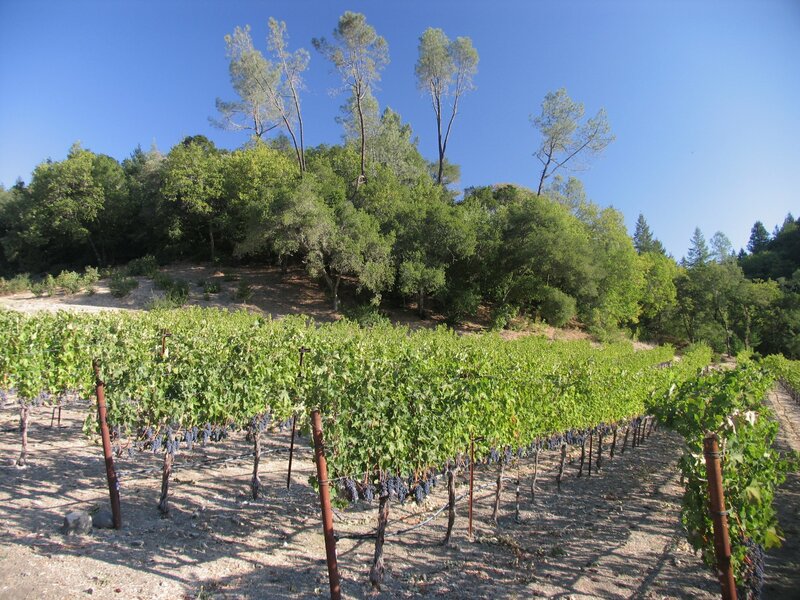 The 2006 Chardonnay is from Napa’s Carneros region to the south and has great color, almost golden in the glass with beautiful tropical aromas and flavors including citrus and pineapple. The 2004 Estate Cabernet Sauvignon is blended slightly with Petit Verdot which in this case helps flesh out the mid palate by providing additional structure and flavor. This is a very rich full-bodied wine with an appealing nose that includes a certain smokiness integrated with fruit. 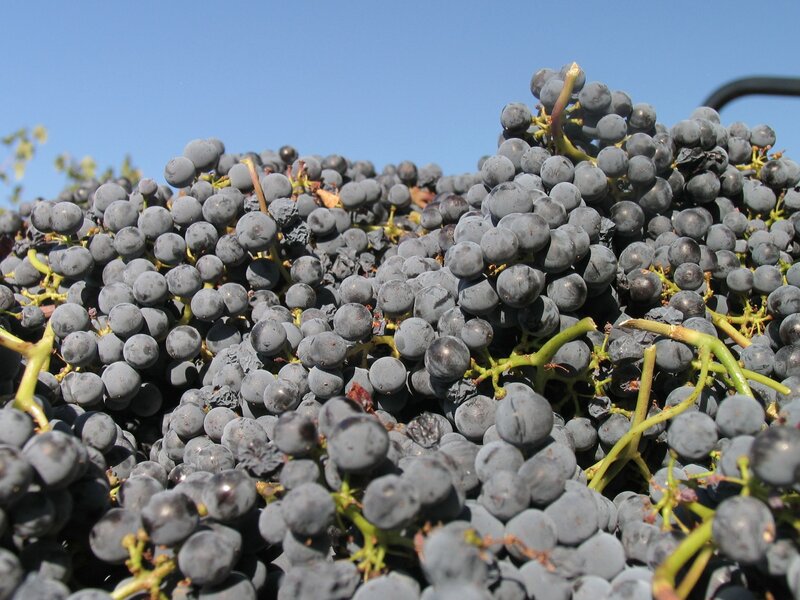 It has a wide depth of flavor from wild blackberries to elegant spices on the very long seductively lingering finish. 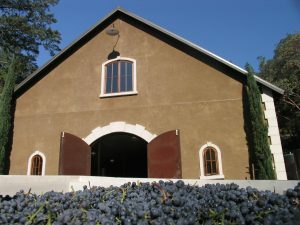 Their entire production is around 3,000 cases including small productions of Petit Verdot (from their property) and a Pinot Noir from the Russian River area. 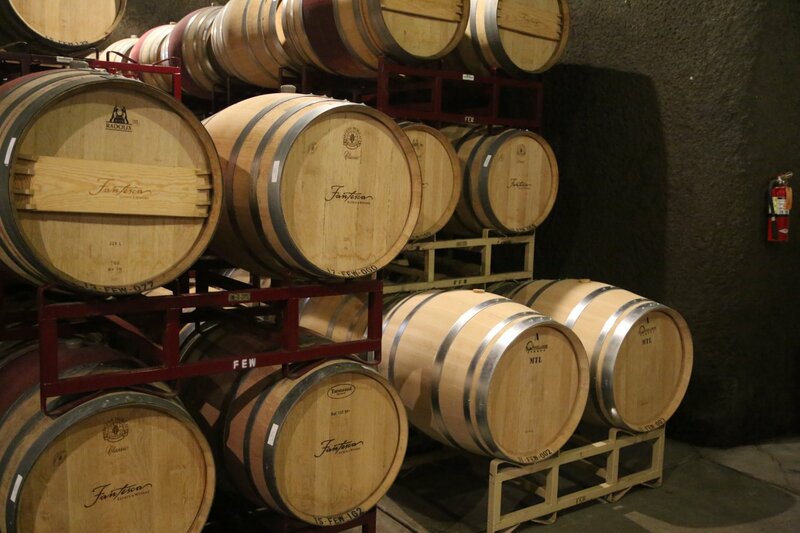 These highly limited production wines are typically reserved for wine club members. Susan’s father is not always able to enjoy robust red wines (for health reasons) so the Pinot Noir is their tribute to him. They typically only produce about three barrels of this wine annually in his honor. 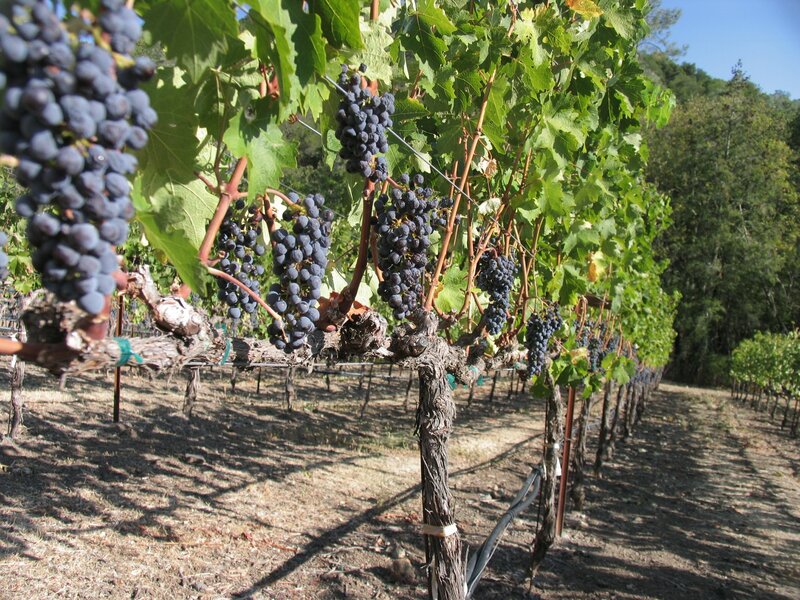 The 2006 King Richard Reserve Pinot Noir is a fantastic wine. 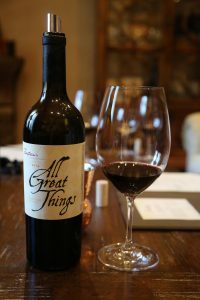 It has good weight for a wine from this varietal with plenty of berry aromas and flavors including raspberry and boysenberry. Spices are well integrated throughout the layered palate with just a touch of vanilla showing towards the finish. Of special note is their annual exclusive “Hands on Harvest” event. 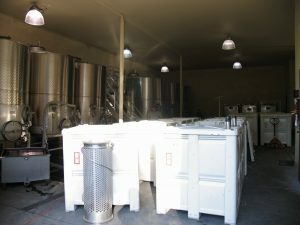 If you are looking for a unique small winery experience off the beaten path that includes lots of fun, good food and wine, this event is a good choice. It is the only open to the public event (by appointment) offered by Fantesca and is an excellent opportunity to meet and learn from those directly involved in making the wine at Fantesca. And gain some experience working a tiny portion of their harvest. 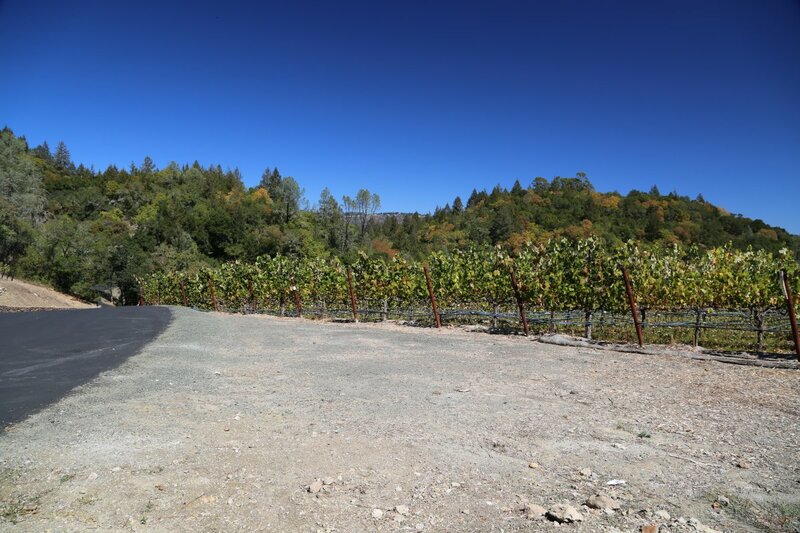 Fuel out your day early with delicious breakfast delights and then head straight to the vineyards where your team will pick about 1000 pounds of Cabernet Sauvignon (sounds worse than it is as this usually takes under an hour). The grapes are then hauled to the winery for processing; you will help with the sorting after they have gone through the destemmer (Fantesca uses a rare triple sorting system to ensure only the highest quality grapes will see fermentation) and watch punch-downs and pump-overs (basic parts of wine making during harvest). 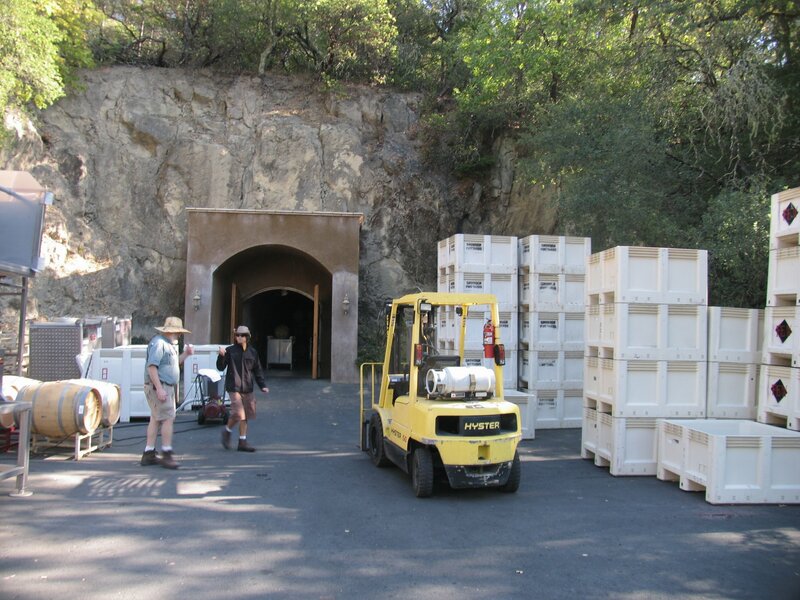 The on site cave was actually built during a time when Napa County had implemented strict controls on new cave construction. However one way around this was using your mineral rights in the name of digging a cave. A previous owner decided to “look” for silver but after digging a main tunnel through the mountain and several “exploratory” shafts he never found what he was looking for. Bummer. Today this small but functional cave serves to age their own wines as well as several other wineries who custom crush on site. It also serves as a conduit between the actual winery and Duane and Susan’s home. After the “hard work” of processing 1000 pounds of wine grapes, guests will walk through this cave to their patio where you will be treated to a scrumptious catered lunch. 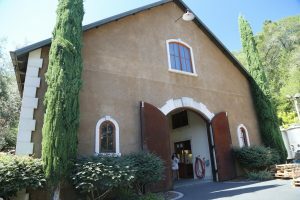 This is a great opportunity to taste through the current releases as well as some of their limited quantity “special” wines. By the end of the day you will be a proud owner of a “harvest crew” shirt that boasts a truly fine quote, “it aint life until you put a girl in it” – a reference to the the girl that appears on all their branding. Also check out their “fortune corkies” – this is a very cool idea that Duane and Susan’s daughter Chelsea (8 years old at the time) came up with after eating at a Chinese restaurant…put fortunes on wine corks. 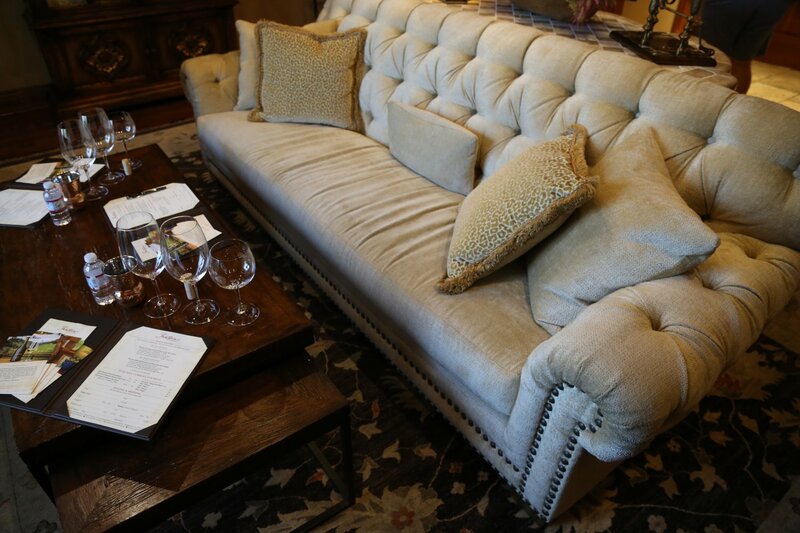 These feature short quotes about wine and love. 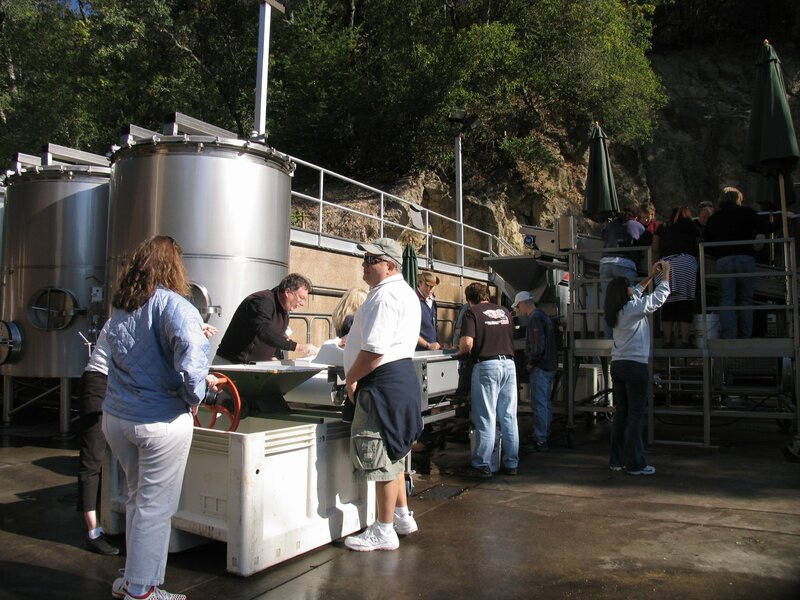 Every year they have a contest in which they pick one favorite quote from fans, customers or other wine aficionados. Should your quote be chosen you will win a Magnum of their latest release! 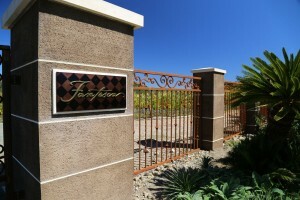 And Chelsea also operates her own wine label called Fearless – featuring a rosé of Grenache. 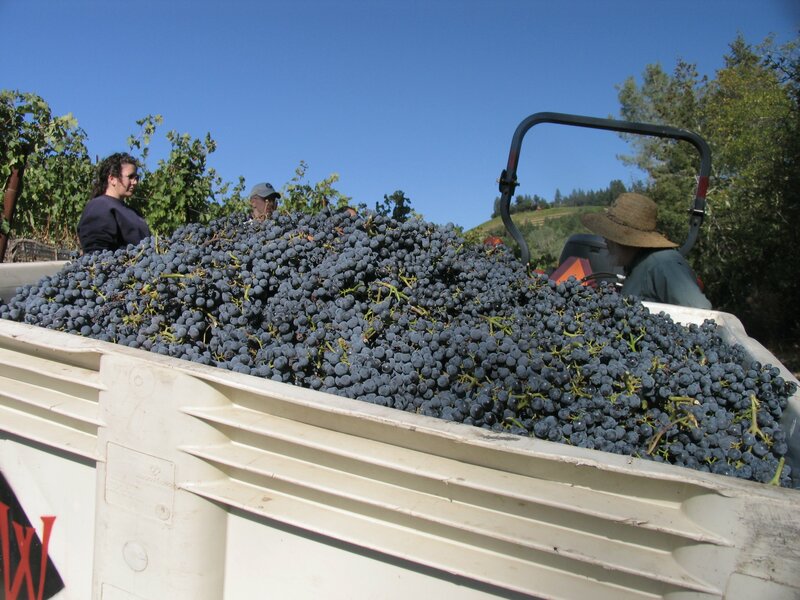 Fantesca also created the very popular educational Adopt a Grape program (no longer active). Essentially the premise of the site is to allow one to “adopt a grape” and follow its life-cycle online from bud break to its aging in barrel. Their bottles always stand out in a “crowd” – they are etched with diamonds in vertical patterns creating a unique textured effect. Kim – November typically is a bit late for harvesting – usually later in September and into October are the best times of the year for the harvest in the Napa Valley.